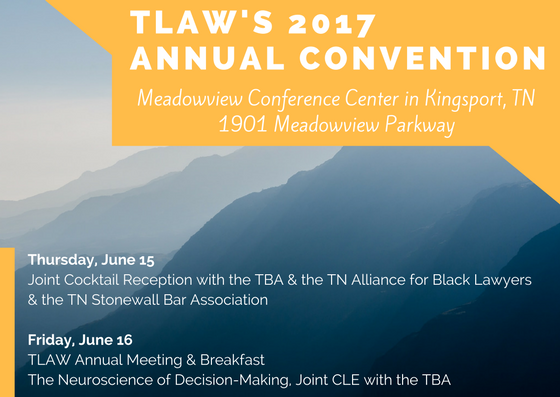 Please join us for the TBA/TLAW/TABL/Stonewall Bar Joint Reception in conjunction with our annual meeting. Location: Marriott Meadowview Conference, Resort & Convention Center, 1901 Meadowview Pkwy, Kingsport, TN 37660. 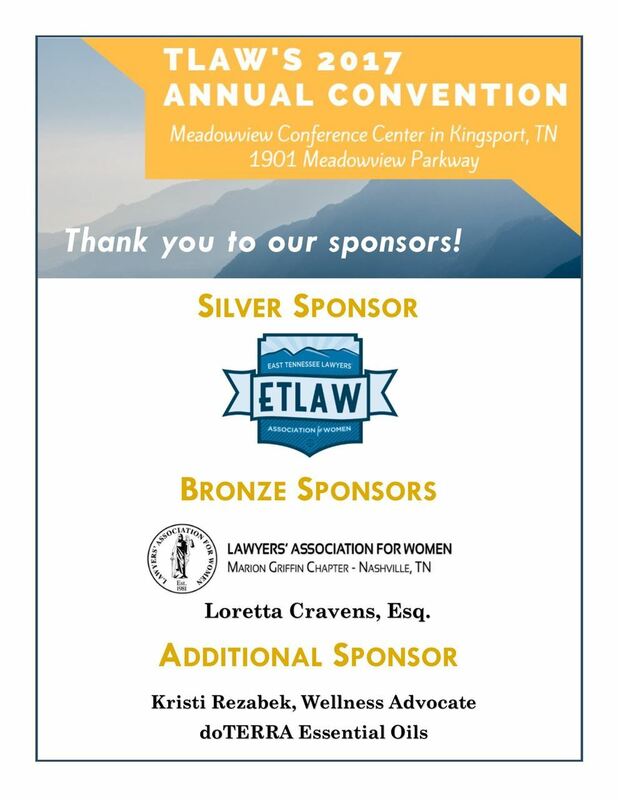 Note: If you registered for the TBA Convention, the cocktail hour is included with that registration, and you do not need to register here.